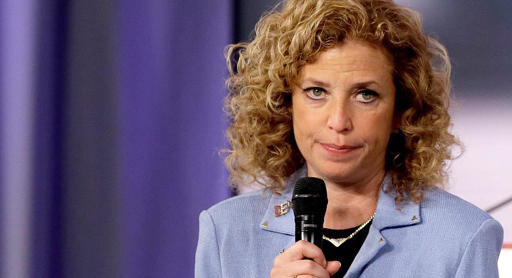 Outgoing party chairwoman Debbie Wasserman Schultz has told a Florida newspaper she will no longer open the Democratic National Convention on Monday. "I have decided that in the interest of making sure that we can start the Democratic convention on a high note that I am not going to gavel in the convention," the Florida congresswoman told south Florida's Sun Sentinel. On Sunday, Wasserman Schultz announced she would resign as Democratic National Committee chairwoman following the convention but indicated she still planned to open and close the Philadelphia gathering. However, with the controversy over leaked party emails that showed Democratic staffers favoring Hillary Clinton over Bernie Sanders during the primary campaign still simmering, Wasserman Schultz faced the prospect of a hostile reception from delegates on the floor Monday. Congresswoman Marcia Fudge will handle the responsibilities of the Chair throughout the four day convention. I hope the Bernie Sanders supporters, now that they have Schultz's scalp, will join the rest of the Democratic Party and support the candidate of the party.